I watched 567 films in 2015. I still look at that number and feel surprised-it doesn't really seem possible, but, it seems it is. During the last few months of rocketing towards that number, I vowed that 2016 would be different. I would focus on other things, maybe catch up on all the TV shows I neglected all year. Well, in January 2015 I watched 58 films. This January I watched 53. Baby steps? 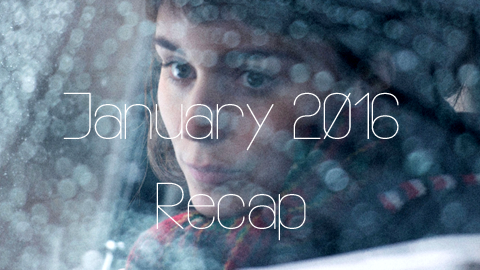 As mentioned in my 2015 recap, I've joined the #52FilmsByWomen challenge, meaning I'm watching 1 female-directed film per week for the entire year, and I'm also doing monthly recaps of the films I watch. This is my first one, and I have a pretty diverse bunch of films to discuss! Find out what I watched after the cut.